[SatNews] Iran launched an observation satellite on Monday—its first since 2012—with President Hassan Rouhani declaring the satellite had safely entered orbit and that he had—personally—ordered the mission. The Fajr (Dawn) satellite was successfully placed 450 kilometers (280 miles) above Earth, said Al-Alam television, an Arabic-language station owned by the Islamic republic. This is the fourth such satellite launch by Iran, after three others between 2009 and 2012. The satellite was locally made, according to the official IRNA news agency, as was its launcher, according to Rouhani who noted Iran's aim is to have no reliance on foreign space technology. "Our scientists have entered a new phase for conquering space. We will continue on this path," Rouhani said in a short statement on state television. Al-Alam said the Fajr satellite, weighing 52 kilos (114 pounds), would be able to take accurate pictures from space. It took eight minutes to reach orbit and is now linked with its ground-based controllers, state media said. The launch came as Iran started 10 days of celebrations for the 36th anniversary of the Islamic revolution, culminating on February 11, "Victory Day," when the U.S.-backed shah's reign officially ended in 1979. In February 2010, Iran launched a satellite containing a rat, turtles and insects. 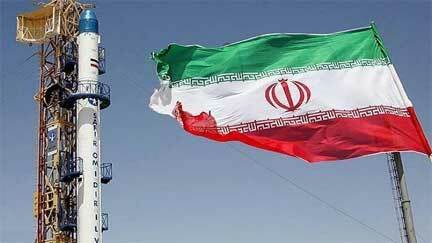 Separate missions under Iran's space program have seen two capsules launched. One, in January of 2013, included a monkey that was recovered alive. Iran's space activities, however, have sent alarm bells ringing in the international community amid concern over Tehran's development of technology that could have military purposes. Some Western countries suspect Iran of secretly trying to build an atomic bomb and fear the technology used to launch space rockets could be diverted into developing long-range ballistic missiles, potentially capable of carrying atomic warheads. Tehran has long denied having military goals for its space program or its nuclear drive, and is currently engaged in talks with the United States and other leading powers to end the standoff over its disputed atomic activities.